SKU: BOCCW189. 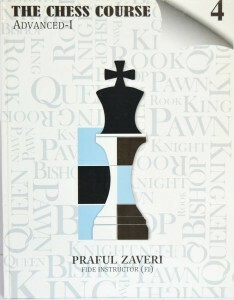 Categories: Chess books, Others. What separates a Grandmaster from an International Master? How do the thought processes of strong club players differ from that of middling club players? What techniques can enthusiastic chess players employ when striving to reach the next rung on the ladder? Jacob Aagaard provides the answers to these questions in this fascinating and entertaining new book. The material is based around numerous carefully selected tests which are offered to a group of players of a very wide range of ages and playing strengths. Once all the participants have attempted the tests, their discoveries, solving methods, and difficulties with the exercises are evaluated and compared, and conclusions are drawn. The players are also quizzed about their exercise techniques, ideas, and opinions about chess in general. Inside the Chess Mind enters fresh territory in chess literature by providing a thought-provoking insight as to how the chess brains of the great, the good, and the improver operate.